The world's largest selection of life-size forms for the taxidermist! 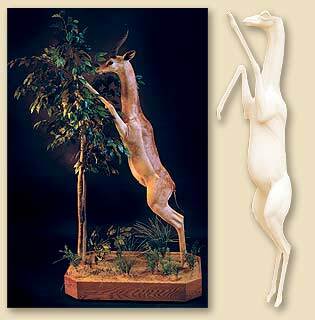 Our life-size Gerenuk forms were sculpted by Precision Mannikins. Specializing in African and Exotic mammals, their forms are know to be accurate and detailed.